Since first debuting in the film “Dr. 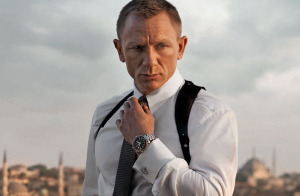 No” in 1962, the iconic film spy James Bond has been linked to wrist watches. Always a man of class, Bond has worn watches by Rolex, Breitling, Hamilton, Seiko, and Omega during his various film appearances over the years. Because of the double-oh-seven character’s popularity, many special edition watches celebrate the character’s film franchise, with many of them in high demand by watch enthusiasts. 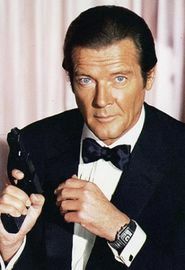 By the time Roger Moore took over the reins as the character in the 70’s, quartz watches had become popular, and it only made sense for James Bond to change with the times and go digital. 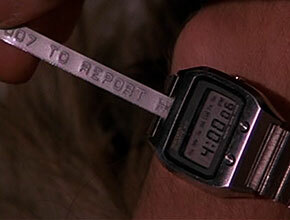 In 1977’s The Spy Who Loved Me, Moore’s Seiko 0674 provides a functional advantage to its older Rolex counterparts by being able to print out messages to the top spy directly from HQ. By the time Pierce Brosnan took up the mantle in the 90’s, the costume designers wanted a classic watch to match the new leading man. By then, though, the classic Rolex Submariner had become a fairly common watch, causing this new version of Bond to instead opt for the Omega Seamaster. The Omega company had had a long history with the British military (especially with Royal Navy divers in the 60’s) so changing timepieces as the character changed actors seemed fitting. 007 has been exclusively an Omega man, with Daniel Craig’s character in Casino Royale (2006) and Quantum of Solace (2008) opting for the Planet Ocean, and Seamaster Planet Ocean watches, respectively, and also the Seamaster Aqua Terra in Skyfall (2012). 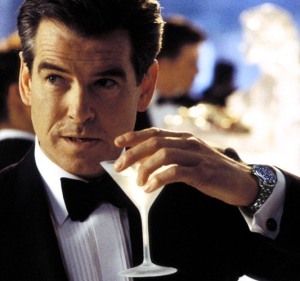 Do you know of any references to watch brands in the original Ian Fleming novels? I don’t, but will do some research to see if I can find some info. Found this info : “Only one brand is specifically named as that secret agent’s watch in Fleming’s original 14 Bond editions: Rolex. The greatest detail comes in his eleventh book, On Her Majesty’s Secret Service, published in 1963. Here we read of the “big luminous numerals” that Bond sees when taking a lazy midnight glance at his chronometer, “a heavy Rolex Oyster Perpetual on an expanding metal bracelet.” The watch is a Rolex Explorer I. The product placement rights are auctioned off to the highest bidder. The last movie raised $45 million thru product placements (not just for watches). 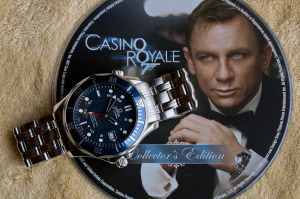 Having your product used by James Bond is worth a lot. I love the “printer” in the Seiko. Couldn’t they have just scrolled the message across the display? Did he need a printed receipt so he could get reimbursement for his mission from M? 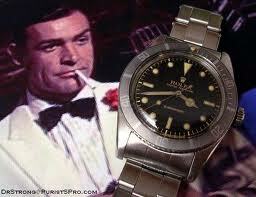 They are the cheapest James Bond watches of all – digital watches are so out of style that they go for peanuts. You can get a James Bond Seiko (without the printer) for maybe $100 on ebay. Interesting article. Thanks as always for the great Rolex & Omega service you have provided me. I’ve been reading James Bond since high school back in the 1960’s. I seem to remember in one of the original Fleming novels where 007 uses his Rolex (think it was a President) as brass knuckles & was given a replacement by M at the end of the assignment. Anyone remember this and/or which book it was in? 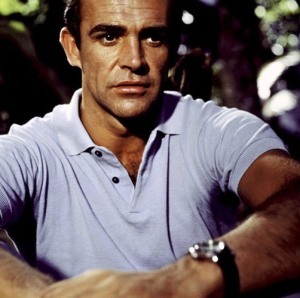 I believe the Rolex “knuckle duster” reference was in “On Her Majesty’s Secret Service.” As an impressionable teenager in the 1960s, I too was a huge fan of James Bond books and movies, cultivating a life long passion for Rolex and Omega watches, “Bond girls,” and exotic cars. In the article you mentioned a Hamilton watch. was one ever used in a movie ? In my research, it mentions Hamilton, but I was not able to find what model or movie it was in. Great blog Mark. Really am enjoying your postings.